The European Union originally drew up the list in March but pledged not activate it unless US President Donald Trump followed through on his threat to impose 25 percent tariffs on steel imports and 10 percent on aluminum. Second, there is much more behind the so-called trade wars than trade. Much of this trade war is propaganda, big style, for public consumption and public debate, where as in reality there are other negotiations going on behind closed doors. 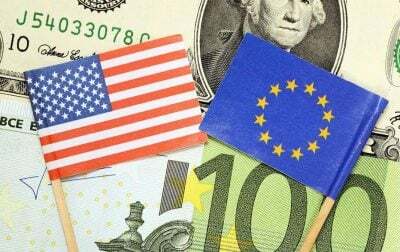 It is very well possible that the EU will also impose import duties on US goods. But if it stays at that, it is very likely that this so-called trade war with the US is pushing Europe even faster than is already happening towards the East, the natural trading partners – Russia and China. As I said, its already happening. And the recent remark of the new US Ambassador to Germany, Richard Grenell, that he will support conservative right-wing movements in Germany and in Europe – did certainly not go down well in Germany, with already a Parliamentary movement to expulse him – which certainly doesn’t help US-German relations. As we speak, most likely this type of “blackmail” negotiations, “either tariffs or you go with us against Iran”, are going on with the EU behind closed doors. Of course, nobody knows the outcome. Trump is like a straw in the wind, bending to whatever seems to suit him best at the moment.